One week til Mona Lisa Art show!! Weeeeee!!! 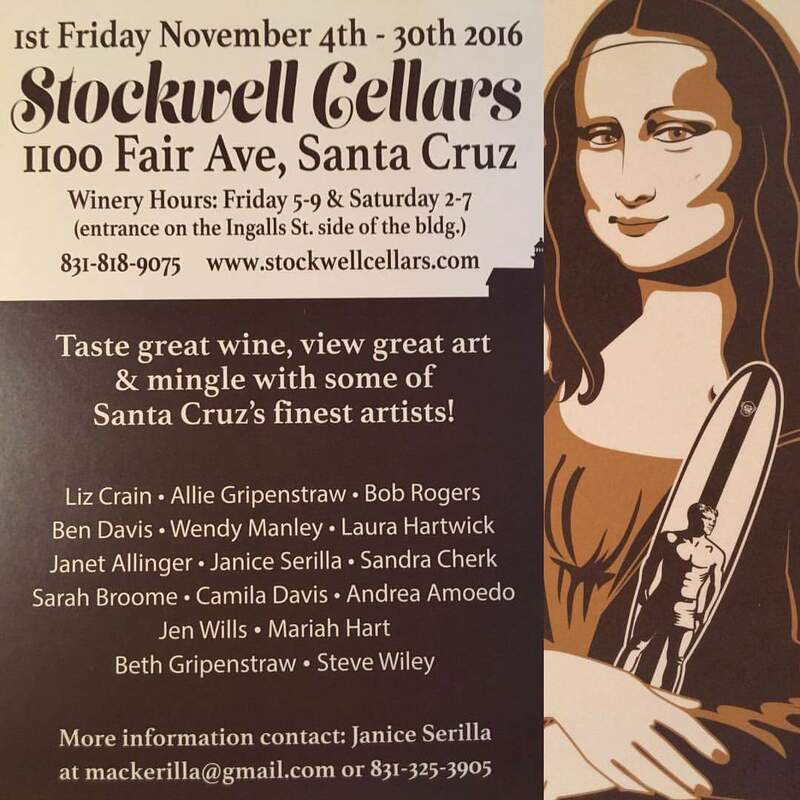 Art will be set up early next week for the November First Friday event at Stockwell Cellars on the Westside of Santa Cruz!!! I can’t wait to see all the pieces that will be hung up for the show and will remain for the month. So if you make it to the show, it will be a fun evening with locally made wine, snacks, music and more! Come meet the artists and have them tell you what inspired them to create their version of the famed Mona Lisa! Have 3 more commissions started and one more to sketch up. Plus waiting on pet photos from other clients. This is my super busy season, hence why I “multi-task” and work on more than one painting at a time! If your interested in a pet portrait for the holidays, I do have room for more! But of course the sooner the better so I can start and multi-task on them too! ​Hey local artist fans! So I am NOT in on the Encore Open Studios this weekend! 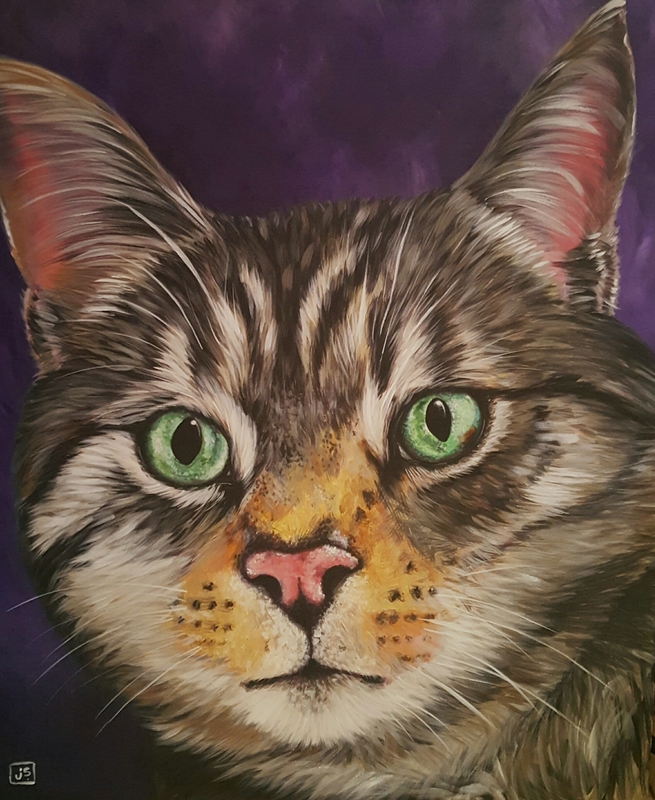 But, you can always call me (831 325-3905) to make an appointment to come see my work or to talk about a custom portrait if your pet!!! Come by for Open Studios Art tour this weekend for North County tour! Artist # 197 in the Guide book! 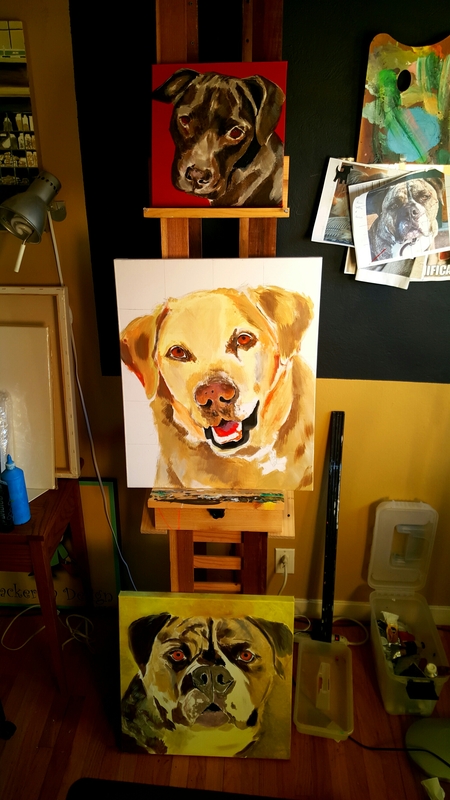 Come see my custom pet portraits of Midas here and more!